It’s Fun Food Friday at our house! This is the day of the week where food gets wacky. Today we had Green Eggs and Ham for breakfast. Yum! Now, is that green eggs and regular ham? Or is it green eggs and green ham? 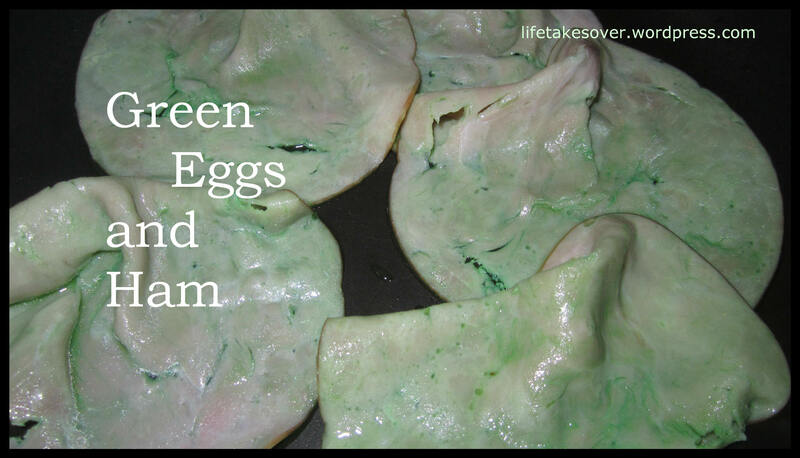 As the debate raged on in our kitchen, we cooked up a delicious batch of green eggs. With the green ham problem still on the table, we decided to go all the way and cook up some green ham, too (courtesy of food colouring, not ham gone bad). A better way to start the last day of the week I do not know! Here comes the weekend! Hang on tight! This entry was posted in Uncategorized and tagged Betterment, breakfast, Family, family stories, Food, food colouring, green eggs, Green Eggs and Ham, healthy eating, Kids, Motherhood, Parenting, picky eaters on October 4, 2013 by Nancy. I think I’ll just read the book. Hahaha – I have to agree. 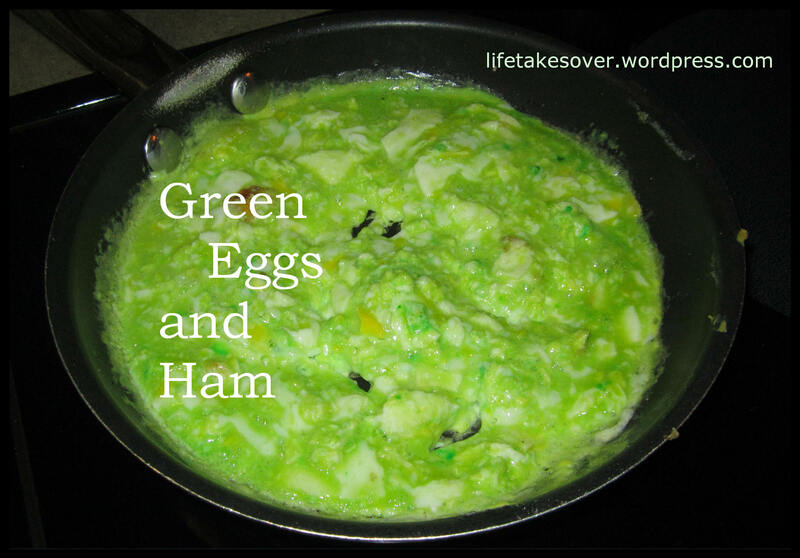 I am not a fan of the food colored green eggs and ham. I do like the idea of Fun Food Friday, however. I have this chocolate tradition on Fridays (especially during the school year). That chocolate bar on my way home is a way to unwind from a tough week.